I can be really nasty when i give my main character a crisis. My problem is figuring out how to get them back out of it! I have a question for you, Aimee. Do you think all of these critical plot elements apply to more realistic books? By that I mean books that deal with day-to-day life, that have no thriller, paranormal or adventure themes? Cally - No, I don't think these points are any less applicable to fantasy / paranormal, etc. Just the story tools used to deliver them would be. I'll give some thought to examples to explore at the end, to show how different genres might deal with the plot structure as a whole. Good idea, thanks! Great post I agre with your idea of separating climax from crisis. 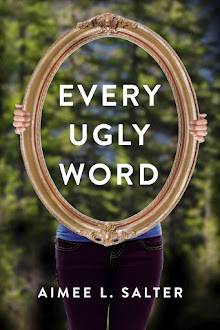 My example would be from Uglies by Scott Westerfeld. The crisis is where Tally must lose the chance to be pretty and go out of the city as a spy. She has only 2 options, and this was only slightly better than imprisonment.